Since her son JJ was admitted to Parsons State Hospital and Training Center in June 2014, Tiffanie Krentz has worn out her car tires during the round trip from her Topeka home. JJ Krentz turned away from his iPad and looked up as a blond woman walked into his classroom at Parsons State Hospital and Training Center. With help from his teacher, he stood from his chair and greeted his mother, Tiffanie Krentz. “Gotta wait,” JJ said, grinning. Tiffanie took each of his hands in hers and leaned down so their faces were almost touching. JJ Krentz will be 12 in May. For the first few months of his life he developed normally. Then he started having seizures. Dozens of seizures. Hundreds of seizures. Some so long and so severe he stopped breathing and had to be hospitalized. They damaged his brain and his body even as doctors tried medication after medication to stop them. Nothing worked. Some of the medicine did more harm than good. It became harder for the family to care for JJ as he got older. Five years ago JJ’s neurologist told Tiffanie and her husband Kevin that they needed to start thinking about an “out-of-home placement” for him. Tiffanie recoiled from the idea and resisted it for two years before finally relenting and getting him on the waiting list at Parsons, which is one of two state facilities for Kansans with intellectual disabilities. JJ had his first seizures after he turned 6 months old, but it took another two and a half years for doctors to diagnose the condition -- Dravet syndrome -- that causes them. He was admitted in June 2014. Since then she has worn out her car tires driving the two-lane highways between Parsons and her home in Topeka. She also works, raises JJ’s younger brother, Jude, and has become an advocate for legalization of an oil derived from marijuana that people in other states are using to treat their children’s seizures. Tiffanie has seen online commenters accuse her of wanting to get her child “high.” That’s not her intent. The bill she has testified for in Kansas would legalize only oil made from marijuana that is 3 percent tetrahydrocannabinol or less — too little to produce a high. The House passed the measure last year, but now it sits in the Senate Public Health and Welfare Committee in the form of Senate Bill 147. It and other bills are in limbo as the committee awaits a permanent replacement for Sen. Mary Pilcher-Cook, who was removed as chairwoman last week. Even before Pilcher-Cook’s removal the bill was not moving. Medical marijuana advocacy groups withdrew their support for the measure this year, saying the bill was far too narrow in scope. They favor broader-based legalization bills that have never advanced in Kansas. Meanwhile, law enforcement groups and some medical organizations think the oil-only bill goes too far. They say marijuana oil should be subject to the same U.S. Food and Drug Administration testing as prescription medications to measure its safety and effectiveness. Such testing is hampered by marijuana’s status as a Schedule I drug at the federal level. In limited independent studies, about 47 percent of participants had a seizure reduction of 50 percent or greater while using the oil. About half the states have legalized the oil in some form, but Kansas does not appear likely to join the list this year. Tiffanie said she’s realistic about her son’s chances. She knows the oil may not help JJ. But it could help another Kansas family. And she’s not worried about the possible side effects. “He’s not going to be damaged any more than he already has been by drugs the federal government says I can give him,” she said. As she sat with JJ in his chair at Parsons, she held him with one arm and gestured with the other. JJ looked up from his iPad long enough to grab her other arm and gently place it around his waist as well. Kevin and Tiffanie struggled to conceive, and JJ was born slightly premature after a difficult labor and pregnancy. But he was out of the neonatal intensive care unit within a week and, for the first six months of his life, everything seemed fine. A port to JJ's stomach provides thick liquid nutrients. Tiffanie says medications to treat seizures caused JJ stomach problems. Then one day in 2004, JJ was with a babysitter. Tiffanie got a call from her sister, a nurse, who said something had gone wrong. JJ was being taken to Stormont-Vail Regional Health Center because he was seizing uncontrollably. Tiffanie rushed to the hospital. A chaplain was waiting for her and tried to prepare her for what she would see when she entered JJ’s room. It didn’t work. JJ was gray, ashen, not breathing. Tiffanie counted eight people in medical scrubs around him, trying to do a spinal tap. He was still convulsing. “It’s god-awful, horrific trauma to see someone — especially a small child — do that,” Tiffanie said. JJ’s seizure lasted 45 minutes that day. The only possible cause doctors could find was an ear infection. Tiffanie and Kevin took JJ home and watched him nervously for days. Tiffanie wondered if that was truly his first seizure or if they’d just missed others. She remembered seeing his limbs jerk awkwardly weeks earlier when he was on the changing table. They went to see a pediatric neurologist, who gave them one medication for JJ to take orally every day to prevent seizures and an emergency medication to give him rectally during seizures. For about a month everything was fine. Then one day while Kevin was on a business trip, JJ started seizing as Tiffanie took him out of the bathtub and he didn’t stop. The emergency medication did no good. Tiffanie called 911 and paramedics started JJ on an IV of Ativan, a powerful prescription sedative. She heard one of them say “we’re going Code Red” as they rushed to the hospital. JJ was eventually transferred to the pediatric intensive care unit, or PIC-U, at the University of Kansas Hospital. “That was the beginning of a lot of PIC-U stays,” Tiffanie said. The doctors there put JJ through a battery of tests to find out what was causing the seizures but couldn’t find the answer. The episodes persisted, and by 9 months JJ was starting to miss his developmental milestones. He was falling behind his peers. “So I just started researching everything like a mad, crazy person,” Tiffanie said. In her hours online, Tiffanie came across another mom on a message board who said her child had eerily similar symptoms and had been diagnosed with Severe Myoclonic Epilepsy of Infancy, otherwise known as Dravet syndrome. So Tiffanie did an Internet search and began reading up on Dravet. “It was all bad, bad stuff,” she said. Dravet syndrome is an incurable, debilitating, lifelong form of epilepsy. Those who have it are at higher risk of sudden death than the general population and usually have developmental delays that require constant care and supervision. There is a genetic mutation that is a strong indicator of Dravet, but the diagnosis is made clinically, and the clinicians who evaluated JJ initially were searching for other causes. The family began traveling around for more opinions. Doctors at St. Louis Children’s Hospital started JJ on a ketogenic diet — a high-fat, low-carbohydrate plan that helps control seizures in some people with epilepsy. It didn’t help and JJ’s brain scans were becoming increasingly abnormal as the seizures persisted. The family traveled to Minnesota so he could be seen at the Mayo Clinic. Tiffanie asked a doctor there about the genetic test for Dravet, but the doctor waved her off. The next day two neurologists recommended the family give JJ Topamax, an anti-epilepsy drug, at adult doses. She had to enter him in a clinical trial so insurance would cover the off-label use. “Every research study we have ever been allowed to participate in, we have,” Tiffanie said. When JJ was 3 years old, Tiffanie took him to see yet another doctor at Children’s Mercy Hospital in Kansas City, Mo. When that doctor recommended a battery of familiar tests, Tiffanie told him she would only sign off on them if he also promised to test for the genetic marker of Dravet. When the genetic test came back, JJ had the SCN1A mutation found in up to 80 percent of those who exhibit Dravet symptoms. After JJ was diagnosed with Dravet, his doctors took him off several medications, telling Tiffanie they would not help him anyway. JJ and Tiffanie enjoy a walk during her recent visit to Parsons State Hospital and Training Center, where he is thriving thanks to a predictable routine, lots of one-on-one education and a highly trained 24-hour care staff. By then he already was experiencing stomach problems that she believed were related to the medications. As the years passed, his diet became restricted to mostly tater tots and milk. Then JJ refused to eat at all. Surgeons installed a port straight to his stomach so he could be tube-fed thick liquid nutrients. As JJ got older and more mobile, his seizures persisted and the developmental problems became harder to deal with. The family had to keep doors locked at home all the time for fear JJ would run into the street. Eventually they had to remodel their house to build a “safe room” where JJ could spend short periods unsupervised. Tiffanie continued to dismiss the neurologist’s first recommendation that they find JJ a residential care facility. 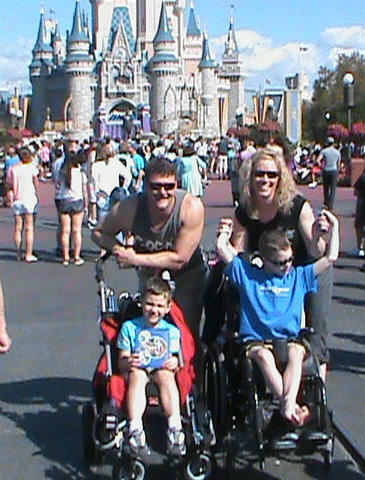 The Krentz family enjoyed a trip to Disney World in 2013 through the Make-a-Wish Foundation. 'That trip was the only time I saw him completely thriving and really enjoying life,' Tiffanie says. But in 2013 the family got to take JJ and Jude to Disney World through the Make-a-Wish Foundation. They stayed at the Give Kids the World Village, a resort for families of children with life-threatening illnesses. Enveloped by a staff of caregivers and other families who knew their stress, Tiffanie and Kevin could let their guards down. It was the first time Tiffanie could remember feeling like a “normal” family. They took a day trip to the ocean and wrapped JJ’s feeding tube port in plastic wrap and duct tape so he could go in the water. They knew there were risks to doing that, but they also knew that it might be JJ’s only chance to experience the sea and there are times when living outweighs merely surviving. “That trip was the only time I ever saw him completely thriving and really enjoying life,” Tiffanie said. Later that year the neurologist again suggested an out-of-home placement, this time more forcefully. Tiffanie started looking. One of the state facilities for people with developmental disabilities, Topeka’s Kansas Neurological Institute, seemed like an ideal setup. It was in the heart of the city where the family lived and worked. But the facility has not accepted children for more than 10 years. A private facility refused to take JJ. He was too medically fragile. Parsons, almost three hours away by car, was the only option. At Parsons, JJ fed page after page into a large paper shredder under the watchful eye of his teacher Kathy Blair, who is an employee of Greenbush Southeast Kansas Education Service Center, a state contractor. He preferred to shred the colored pages — pink especially — but he would settle for white pages if that was all he had on hand. “You could stand here and shred all day,” Tiffanie said to JJ, while she and Greenbush program director Ben O’Connor looked on. “Once he gets old enough, he’ll be able to leave school and go shred,” O’Connor said. For Tiffanie, the idea of JJ having a job would have been unthinkable just a few years ago. It’s one more sign that she made the right decision by sending him to Parsons. He is thriving there, with a predictable routine, lots of one-on-one education and a highly trained 24-hour care staff. JJ’s concentration has improved. He can string together short phrases and reproduce any jigsaw puzzle after seeing it once. He has become obsessed with calendars. “He knows the days of the week, he knows the months of the year, he can spell,” Blair said. When JJ goes to physical education, he and another boy have started playing together. This new development stunned Tiffanie. “He’s never had a real peer relationship at all,” she said. Seizures remain a constant threat, but the staff is on the lookout. Blair reached into her pocket and pulled out a small magnetic pad. If JJ shows signs of seizing, she can swipe the magnet across an area of his upper chest where surgeons have implanted a vagus nerve stimulator. 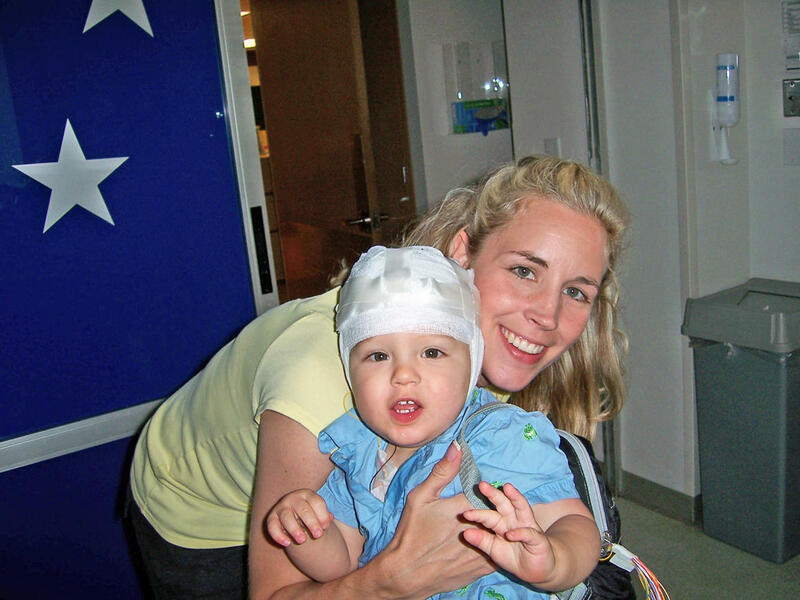 The stimulator automatically delivers electrical impulses to JJ’s brain at regular intervals to prevent seizures. A swipe of the magnet delivers an additional burst of stimulation that sometimes can stop a seizure after it starts. With the vagus nerve stimulator and his constant care, JJ is down to one seizure every couple days. Later, in JJ’s room, Tiffanie sat with him on his bed, which is surrounded by padded sidewalls. One of JJ’s favorite Baby Einstein DVDs was playing on the small TV above his dresser. He was methodically removing all his other discs from their sleeves one-by-one, stacking them, then putting them back in. Suddenly he stopped. His eyes glazed over. Tiffanie leaned in, concerned. She reached over and pulled his lips back. “He’s chewing on his tongue,” she said. Then the episode passed and JJ went back to his DVDs. It was a seizure, Tiffanie said later — a mild, subtle one that probably would not even be recorded unless one of the Parsons staff had been right there, watching him. It was a reminder of the danger JJ faces every day. About 15 percent of kids with Dravet don’t survive to adulthood, according to the National Institutes of Health. Tiffanie has prepared for that possibility. The family has discussed funeral preparations. She and Kevin have signed an advanced directive instructing doctors of what to do if a catastrophic seizure leaves JJ unable to breathe. But the gains he has made at Parsons have opened new hopes for his future — a future with friends and even employment. With those hopes come new fears that they could be dashed. The state budget tight and Tiffanie said she fears Parsons won’t always be available for families like hers and kids like JJ. That he’ll be forced to leave before he’s ready. Until there is an effective treatment for Dravet, she said she also will fear the massive seizures that could wipe out JJ’s developmental gains, or worse. There are anecdotes from other states about seizure relief through marijuana oil, and randomized controlled clinical trials specifically for Dravet survivors are coming. But it will take time, and Tiffanie is never sure how much of that remains for JJ. She’s already seeing signs of his feet turning inward, which is common in children with Dravet as they approach puberty. Puberty also means a surge of hormones, which can spur more seizure activity. “I’m terrified,” Tiffanie said of the coming changes. But she has learned to live in the moment, to enjoy these quiet times in JJ’s room at Parsons, as he smiled while reciting the alphabet for her nearly flawlessly. When he finished, she told him how proud she was and raised her hand for a high-five. “I love you,” she said, and leaned in until her forehead touched JJ’s. 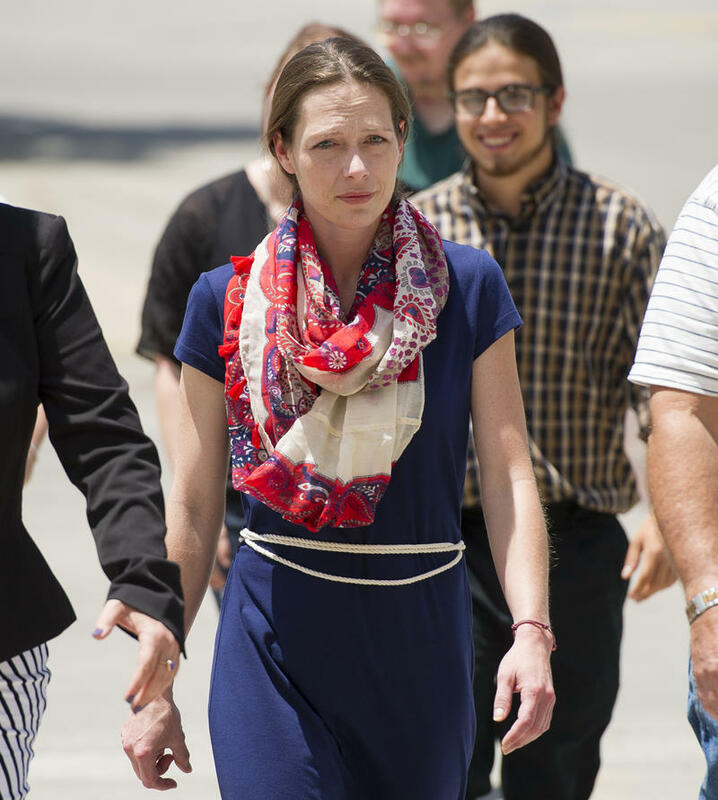 A Garden City mother facing criminal drug charges said this week that she still intends to file a lawsuit in federal court asserting a constitutional right to use marijuana to treat her Crohn’s disease. Attorneys for Shona Banda prepared the suit months ago and posted a draft version online. Lawrence attorney Sarah Swain teamed up with Long Beach, California, lawyer Matthew Pappas on the suit and Banda said the delay in getting it filed is largely due to logistics. 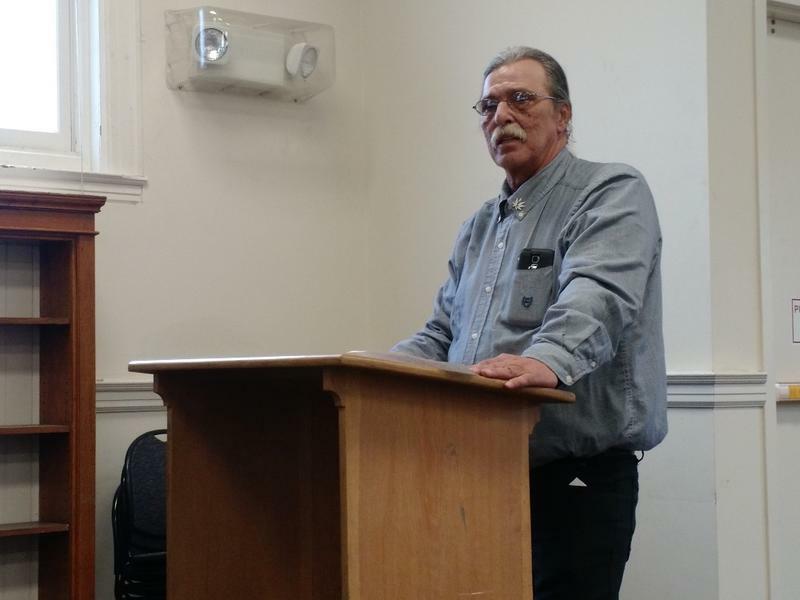 After hearings and debate on whether medical treatments should be approved through legislation, the Senate Corrections and Juvenile Justice committee Tuesday passed two bills concerning marijuana. One — House Bill 2049 — would lower penalties for possession of marijuana. 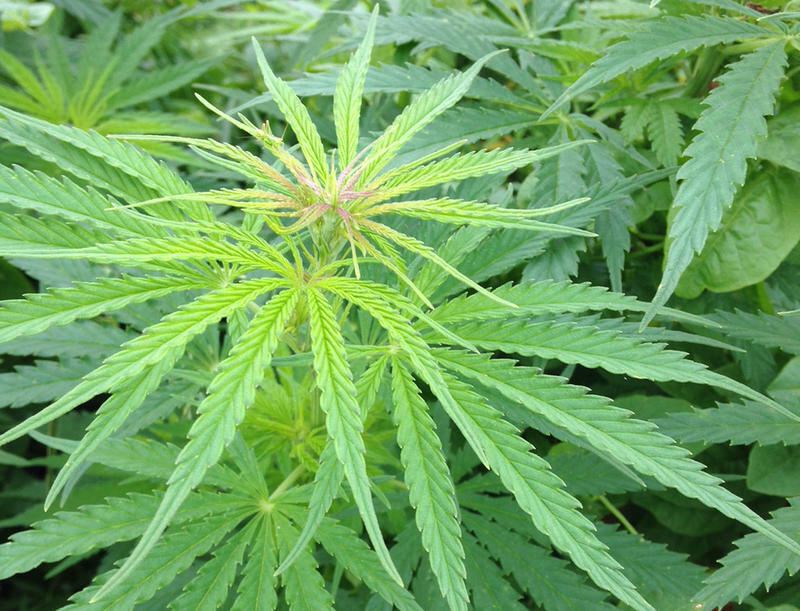 Eds note: This post originally stated that an initiative seeking to decriminalize marijuana in Kansas City would require more than 3,400 signatures from registered voters in order to be considered by the Kansas City Council for voters. That is true for referendum efforts, not initiative petitions. Initiative petitions only require signatures equal to 5 percent of votes cast for mayor in the last municipal election. By that reasoning, only 1,708 valid signatures will be required. The text below has been changed to reflect the correct numbers. For this 50th episode, we recorded Statehouse Blend live in front of a studio audience at Westport Flea Market. 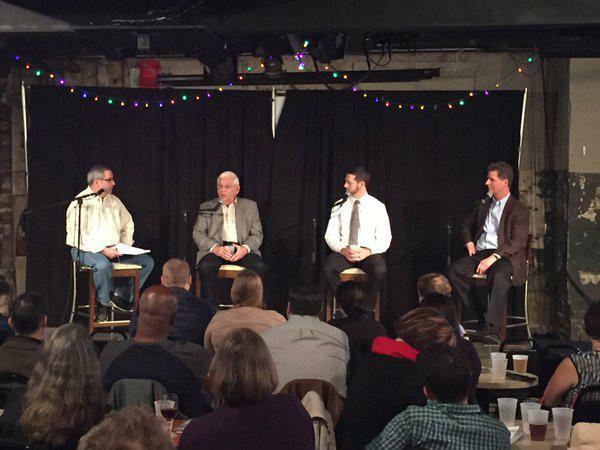 We explore the most pressing issues of 2016 with KCUR's Sam Zeff and Steve Kraske, and with guests Republican Rep. John Rubin and Democratic Rep. John Wilson.